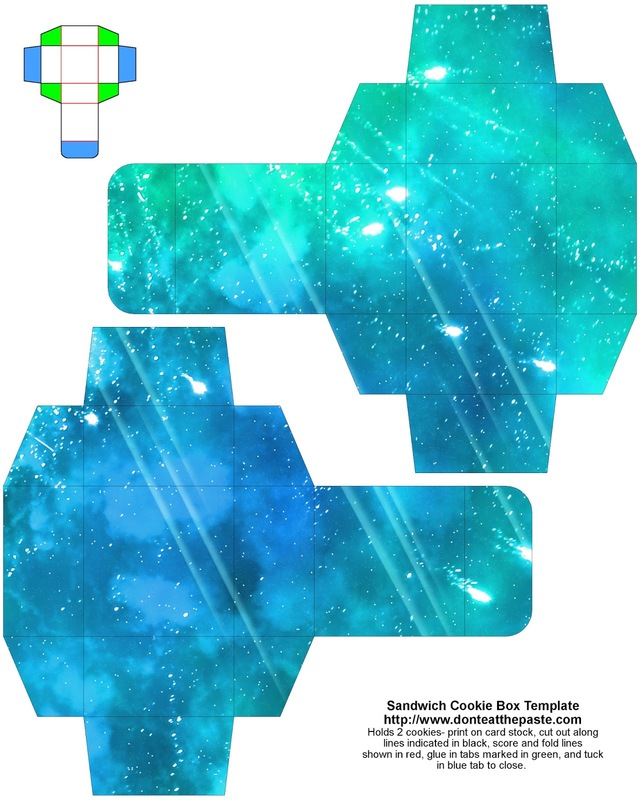 I hope you enjoy this set of printable boxes- one size makes a box that will hold 2 sandwich cookies (Birthday Cake Oreos shown in photo), the other box will fit 4 cookies. With the Birthday Cake Oreos, which are a tiny bit thicker than regular Oreos, the lids bulge slightly. 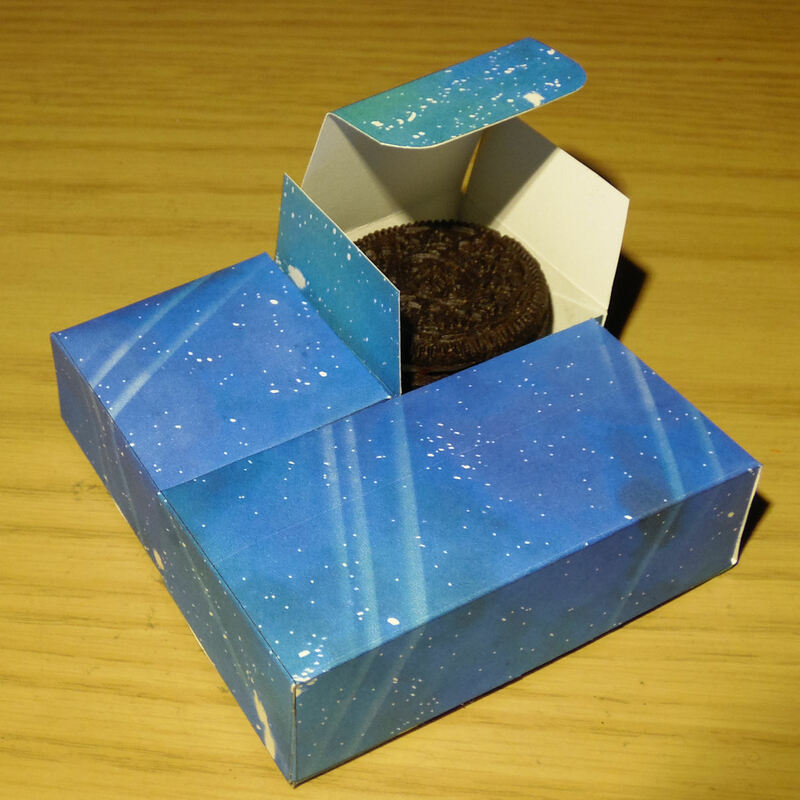 All the boxes in the photo have cookies in them, so you can tell it's not very visible. 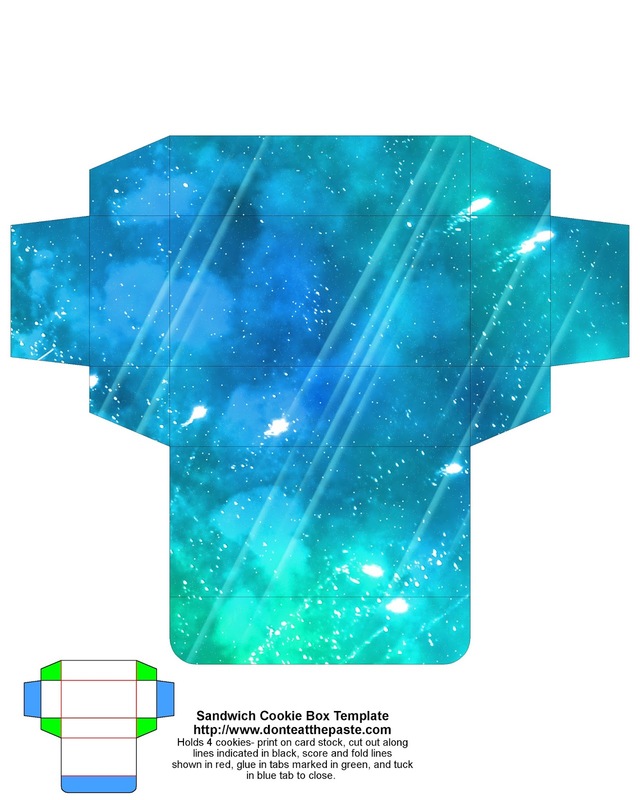 Click the images below for larger versions, print on card stock, cut out, score folds, fold, glue!